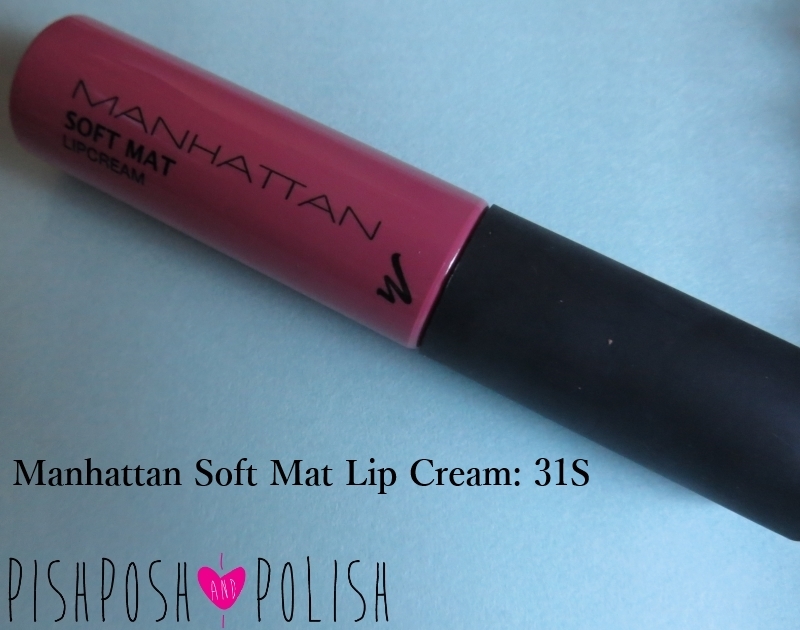 Today I am showing you yet another matte lip product this product has been my staple winter lipcream. I only noticed today that this tube is starting to run out and I thought "Hey why haven't I blogged about this yet?" The Manahttan lipcream's all come in similar packaging, the colour of the plastic tube represents the colour of the lipcream. I am normally quite vary of products like this as they never seem to look exactly the same as the outer packaging but in actual fact the packaging was a pretty true representation of the colour inside. The only thing to note is of course you can't tell how much of this product you have left. I am pretty sure mine is starting to run on empty. Inside there is a nice spongy doe-foot applicator. The shade I have here is 31S which is a dusky rose-pink. It is not dissimuliar from my natural lip colour really. I find that I am quite messy when I apply my foundation and white ghost lips really don't do anything for me. I think this is why this has been so reached for, it is just brings my lips back to looking natural without a it being really obvious that I am wearing lipstick. The lipcream really is creamy to apply and applies easily to the lips drying to a matte finish almost instantly. The wear time for me was a couple of hours before I felt my lips feeling a little gunky and I needed to reapply. The best thing about this product is the price I bought mine for 99p from Fragrance Direct and I have heard this has been floating around in poundland's too! In all I would recommend trying this product as it really won't break the bank and it actually pretty good! What a pretty shade on you! Great review!